This fun homemade latte has the taste of your favorite campfire treat. 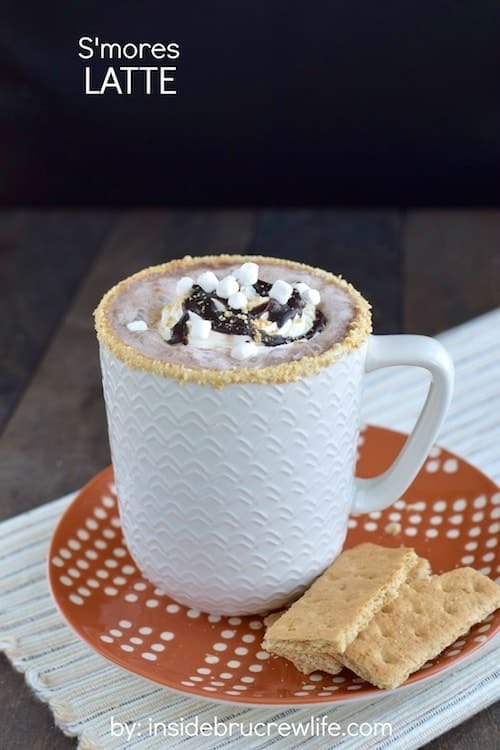 Relax this afternoon with a mug of this S’mores Latte. The housework and dinner prep can wait. Spring is pretty much here. The birds are chirping early in the morning, the grass is bright green from all the rain, and flowers are starting to appear in flower beds. With this nice weather comes lots of bonfires out on our back deck. And of course, when you have a fire, you have to make s’mores. But s’mores are so messy…not to mention dangerous with children running around with pointy sticks. Whoever invented the first s’mores was not thinking clearly. I mean fire, sticks, and children? Ok, it had to have been someone who didn’t have kids. Anyway, even with all this gooey dangerous talk, we let our kids roast marshmallows. We know to keep our eyes open and to duck when those sticks start moving. 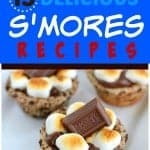 Want to know another fun way to enjoy a s’mores without the mess of a fire? 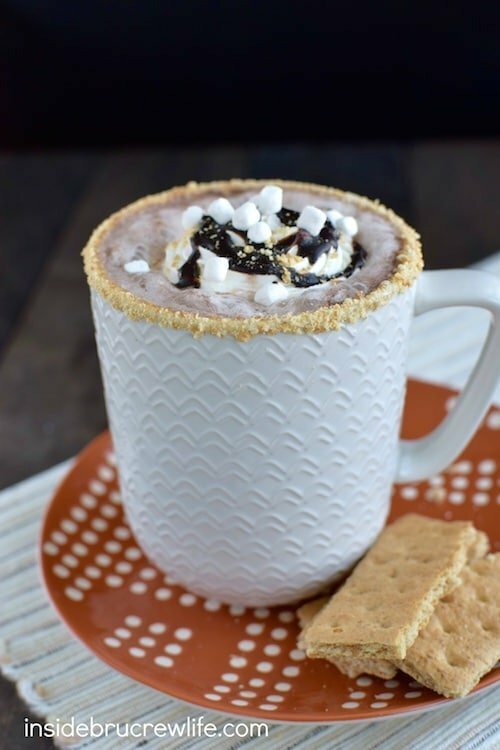 This S’mores Latte can be in your hands in a matter of minutes. Go ahead and go whip up a mug of chocolate marshmallow coffee. You know you want one right now. I’ll wait right here, then we can continue our chat. One of my favorite kitchen tools is this aerolatte milk frother. It whips warm milk into frothy goodness. If you haven’t gotten on yet, give your milk a quick whirl in the blender. That works ok too. Ok, now that you have your mug of goodness, let’s talk about the elephant in the room. Lately, I have been getting so many emails and complaints about the ads on my site. People say they are taking over. I have been working with my ad provider to keep these ads to a minimum, but you have to know that I work super hard on this little ‘ole blog and buying sugar and butter isn’t cheap. Ads are a necessary evil to keep the recipes coming. A few years ago my husband changed jobs and went into full-time ministry. You can read more about our job change and get a delicious banana split cheesecake recipe too. We knew that our income was going to change substantially, so I started to transition blogging from a hobby into a job. God has blessed our work ethics and efforts so much. I love creating these recipes for you, and I love that I can help support my family with the work I do here. Some of the ways that I can do that are through working with brands that I know and use like Crunch Pak, Lucky Leaf, and Challenge Butter, but another big way I can earn an income is to run ads. I know mobile ads are not the greatest or easiest to navigate, but most of the time there should be an “x” that lets you close the ad out. Now there are times that ads have issues. It is technology after all, and technology fails here and there. I appreciate the emails that I have received letting me know when something isn’t working great. Most of the time I am working from my laptop, so I do not see problems right away. Please keep the emails coming…just please try to be nice about it! Most of you have been so super sweet when letting me know your feelings on the ads. I do appreciate that so much. I also appreciate you learning to go with the flow as I change things around with how I do ads. 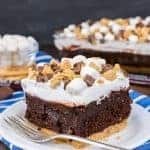 Just keep in mind that making these recipes to share with you is a job, and in order to get paid for my job I have to work with brands and ads. Like I said necessary evil, right? 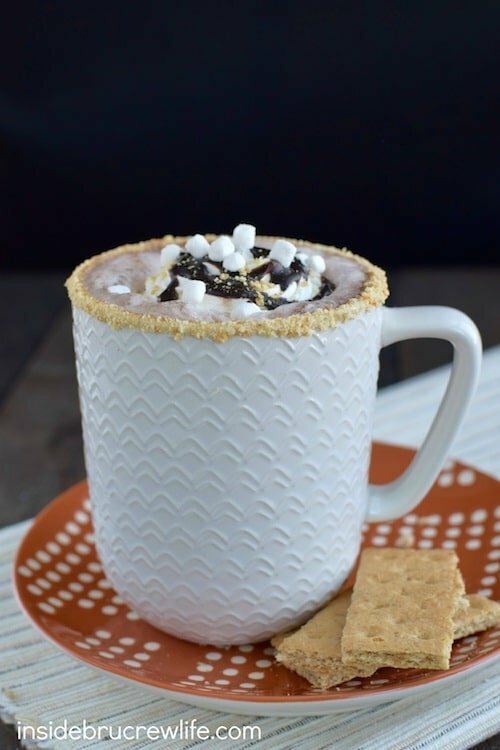 Now how about that s’mores latte? 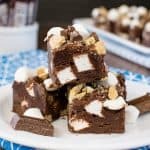 Did you totally love how the chocolate and marshmallow worked so well with the hot coffee? 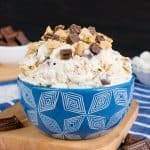 And I sure hope you added the ring of graham cracker crumbs to your cup because it makes it so much fun and delicious! 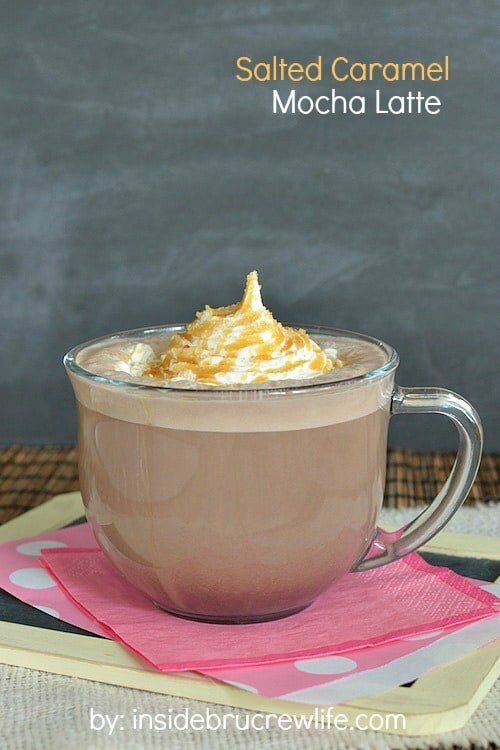 Chocolate and marshmallow added to hot coffee creates a fun coffeehouse drink. 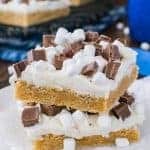 The rim of graham crackers is a must to give it that s'mores taste. Rub a small amount of honey around the rim of the mug. Dip it into the graham cracker crumbs and set aside. 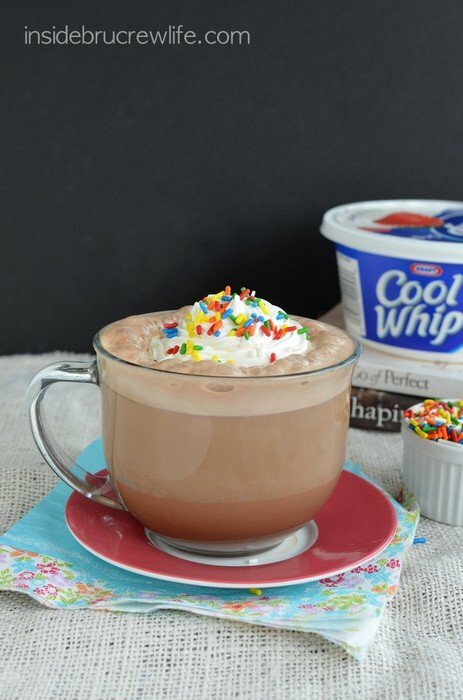 Place the milk, 2 Tablespoons chocolate syrup, and marshmallow cream in a small sauce pan. Heat over medium heat until warm and melted. Use a milk frother or blender to whip the heated milk into a frothy mixture. Pour carefully the coffee into your prepared mug, then slowly add the frothed milk. Top with Cool Whip, chocolate syrup, graham cracker crumbs, and marshmallow bits. Makes 1 latte. Try these fun homemade latte’s the next time you need a caffeine jolt! *This post does contain an affiliate link. We may receive a small percentage from sales made through these free links. As always, these do not cost you anything extra. Thank you for letting us share products we use and love this way. So decadent! The perfect indulgence! I think your site is great, and I wish I had your problems! Love your recipes and stories. This sounds Ah-mazing!! I have to make this ASAP!! And I think your blog looks great!! You are an inspiration to me! Well, you just made my day with your sweet comment, girl!!! I hope you enjoy the latte!!! I can’t understand why people would send nasty emails about ad problems. Would they be that rude about it to someone’s face? Love the latte. I’ve never had marshmallow coffee before. Needs to change! It is amazing to me how rude people can be when they are behind a computer or phone screen. But it’s ok, I’ve learned to shake it off! And yes, marshmallow coffee needs to happen in your life soon! 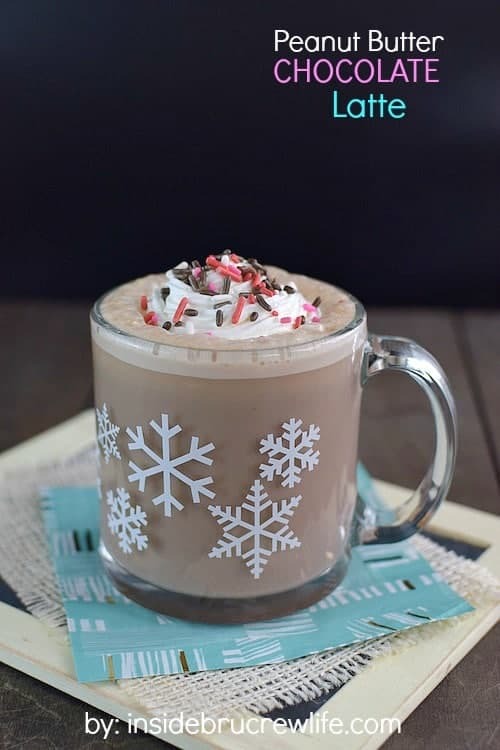 Such a fun latte idea! I am so glad to hear you haven’t had any issues. I really think it is just because mobile ads are new, and people need to learn how to navigate them better. I don’t mind your ads one bit, Jocelyn! I definitely understand that it’s a necessity to keep this your job! Now onto this latte, it sounds delicious! I love the smores flavor! I’m glad the ads don’t bother you at all Gayle! Did you see Starbuck’s new Smore’s Frappucinno?! 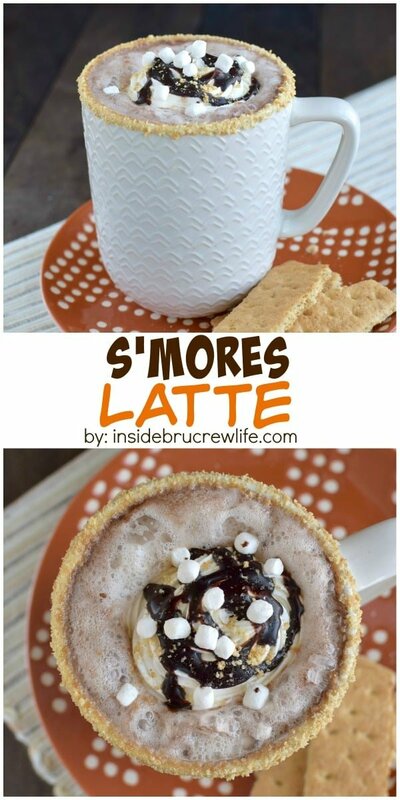 With this drink to start the day and the Starbucks dessert, I am set on my Smores all summer long! That is too funny! I didn’t even know they were coming out with a S’mores Frappe? I will definitely have to check that out!!! 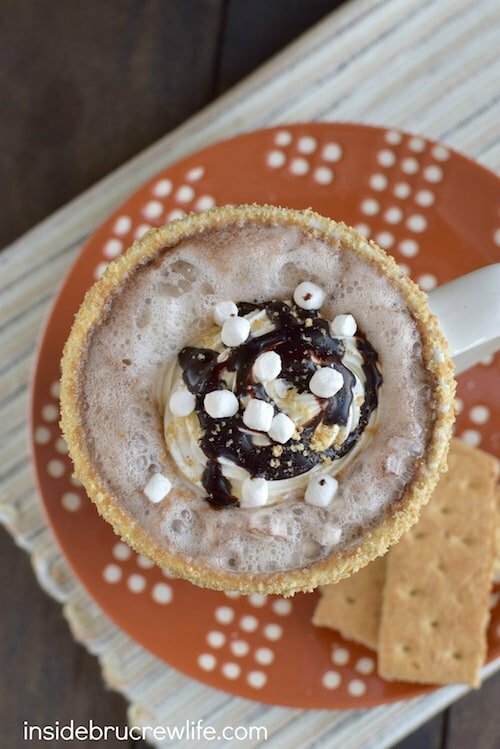 S’mores in latte form?! Yes, please! I love learning more about you Jocelyn! I didn’t know that your husband is in full time ministry, but how neat! Yay for learning new things about the blogs we read, huh? It has definitely been a fun and exciting journey for us!!! haha, I have the same thoughts about s’mores and children 🙂 This latte though? So yum. Times 100! 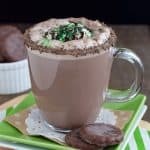 This latte is right up my chocolately alley! Jocelyn , I didn’t know your husband was in full time ministry. That’s awesome. And it’s so amazing to see God’s hand of faithfulness over our lives. It looks like he is blessing that bold step you took together immensely! Thank you Melanie!!! It has been a crazy few years, but God has definitely provided for us every step of the way!!! I hope you get a chance to have one of these latte’s soon…totally delicious and worth it! And I’m so glad the ads don’t bother you. As a blogger you know we just have to do it to make money to pay for bills! Necessary evil for sure! It really was pretty amazing to drink! I may have had a few all week long when I was coming up with the recipe! And as for the emails…I’ve learned to let it roll off my back. You can’t please everyone all the time, right? Thanks, Kelly! It’s totally ok…I’ve made my peace with getting these kind of emails. Oh Jocelyn! S’mores in the morning? Sign me up! Adults sipping their s’mores, the kids playing with fire and sticks…..all the joys of cool spring evenings! 😉 Kids + roasting marshmallows are just a teachable moment on fire safety and deliciousness. Adults + this coffee is a teachable moment on blissful beverage indulgence! Yes, we have had some of those very safety conversations with our kiddos…but they still swing them all over! Thank you, Tanya! I hope your family enjoys the latte!!! Yes, fire, sticks, and kids DO NOT MIX. Coffee and s’mores? TOTALLY mix!! Tell me about it…those kids get so crazy with the sticks!!! I’ve learned to make my latte after they are all done roasting marshmallows, so I can enjoy it and not have to duck all the time. Ducking and holding coffee isn’t a good mix either. LOL! Oh yum! I am waiting for the a taste of the Starbucks version too.